Now here is a little behind the scenes from me. But if you're one that likes to enjoy the final product and likes to be oblivious to the magic of how it's made, then do not read on. There is a computer in the mess and yes, I would have to crawl over piles to get into my corner and then hope my crafty mess didn't spill over into the rest of the family room. Oh and I laughed a bunch when Megan contacted me. I told her to try again later when my room was really finished. That was all the inspiration I needed. I took charge and finally pull together my wonderful craft space. Here's another "Behind the Scenes" reveal. In order to make sure my spaces wasn't over run with my normal boxes and bags of clutter that I never seem to find time to put away I moved the "extra" stuff to my bedroom (foot of my bed to be exact). Yes, it's in the way and yes, it's still there. I will eventually find where it all goes and put it away. I just wanted to remind you, sometimes things look better in pictures (not the ones above). And even better when published in an idea book. So be sure to get your copy of the new Creative Spaces, Volume 2 idea book available January 8, 2013. I so need to organize my space. I have piles everywhere as well. I will have to check out the magazine! 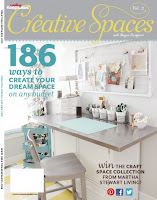 I had no idea about creative space! 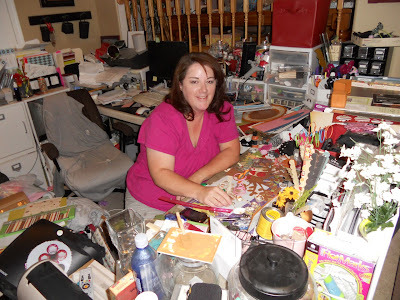 Glad I saw this, I'm in the process of revamping my craft room that has been turned into a storage room. Umm. Did you get the message that hoarders called? OMG!! 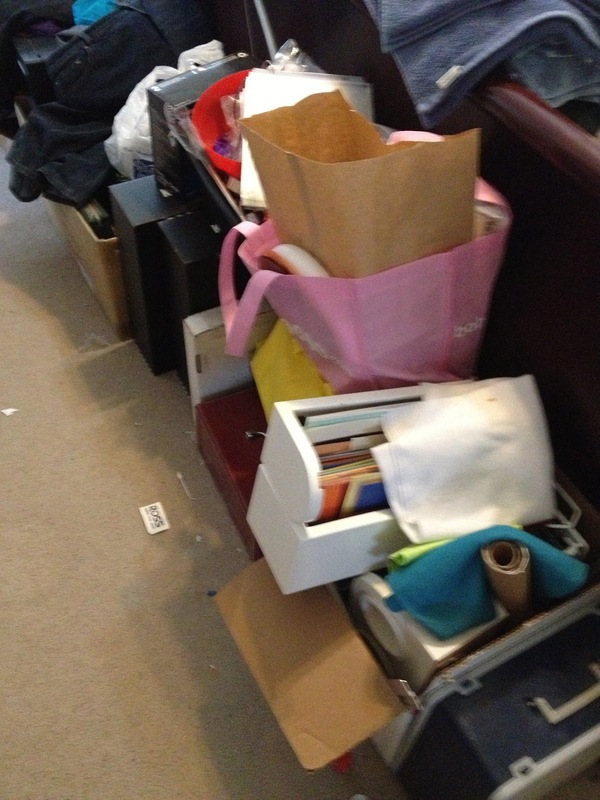 If you could see my space(s) it would for sure be a HOARDERS gone wild!! I can't wait to get my hands on a copy of the magazine! Congratulations!! Love the foot of your bed!